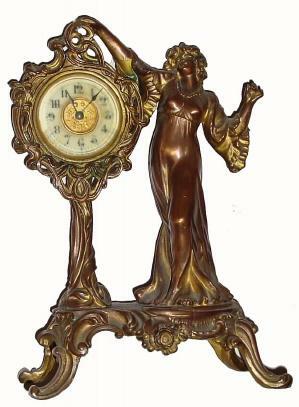 C.1906, Ansonia Clock Co., "DANCE" in good original condition (minor hairlines in porcelain area of dial). Most of the gilding is worn off the figure, but it has never been painted. For details, see LY, figure 2180.